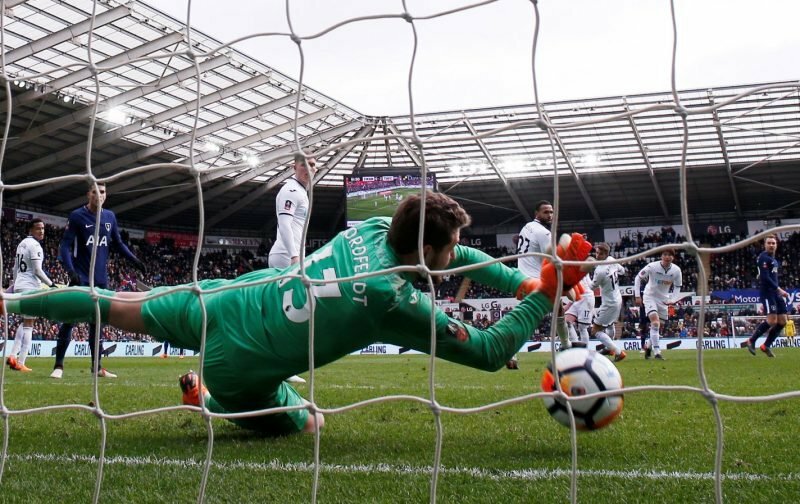 The team line-ups have been confirmed as Swansea City head to newly-promoted Wigan Athletic as they look to build on Saturday’s 3-0 victory against QPR. As expected, Graham Potter has made three changes having only played a few days ago. Jay Fulton, Barrie McKay and Kristoffer Nordfeldt replace Baker-Richardson, George Byers and Erwin Mulder. With McKay starting, you’d expect Potter to stick with a 4-2-3-1 and move Celina to the number 10 position behind Oli McBurnie but you just never know with our manager! ???? TEAM NEWS: One change for Latics as Darron Gibson comes in for Samy Morsy who has a slight hamstring strain. @NPowell25 will wear the armband on what is his 200th career appearance ???? ???? Three changes from Saturday. ???? Nordfeldt, Fulton & McKay return.